Flakefleet Primary has SWAG! What’s yours? In my keynotes when I ask people what their SWAG is I get funny looks. 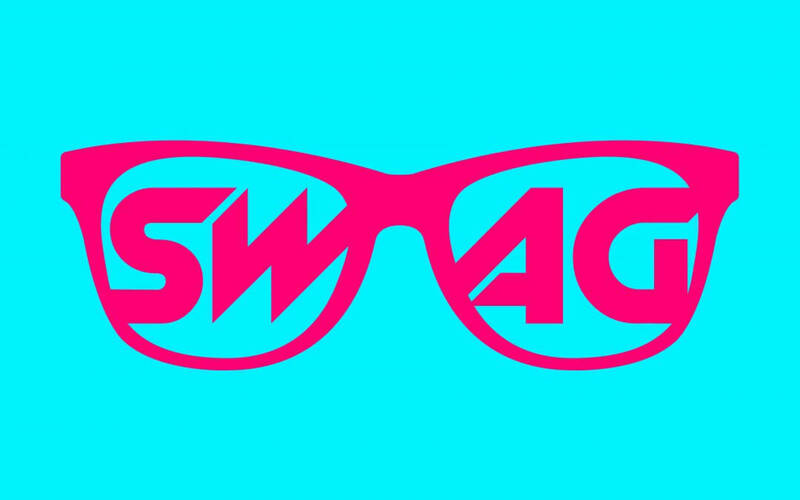 SWAG stands for Seriously Wild Audacious Goal and having one is the secret to overcoming fear and reconnecting with your WHY. My mate Dave, the headteacher of a primary school in Blackpool, came up with a brilliant SWAG – for the kids on his school to release a song that snags the Christmas number 1 spot in the charts! Sounds crazy right? That’s one of the hallmarks of a great SWAG! One of the best things about my job is I get to spend time in different organisations and schools and I’ve noticed that in these communities culture is often driven by either Brawn, Brains or Heart. SWAG isn’t encouraged in brawn cultures. Leadership is all about the perception of strength and avoiding the slightest hint of vulnerability. People tend to keep their heads down for fear of what might happen if they question and, like the dodgy iPhone my cousin Julie got from eBay, staff work well for a year or so before their batteries get knackered and they get traded it in for a newer model! In brain cultures, goals are serious but they tend to steer away from being wild or audacious. There is a sense of ‘Them and Us’ and a focus on ‘what gets measured, gets done’. A win is ticking many boxes as possible during the day which makes work feel slightly like a twelve hour session on Fortnite. With no toilet breaks. Heart cultures are a breeding ground for SWAGs and as a result they seem to be able to achieve the impossible. These communities are the easiest to identify because empathy, authenticity and love hit you in the face as soon as you walk through the door. Relationships are ACE – Authentic, Consistent and have high Expectations embedded into them. Staff hold a vision of success for those they serve and every member of the community feels valued, because they are. Flakefleet Primary School is SWAG- driven. Obstacles abound for staff, students, leaders and parents, but at the centre is a willingness to meet people where they are. When a ten year old Lauren put her hand up in assembly and said she wanted to be a popstar, Dave and his team, got curious and engaged in some magic wand thinking about how they could make that happen. When I met Lauren in January, after their Christmas single made it to number 63 in the charts, I asked her if she was disappointed. She gave me a quizzical look before patiently explaining that she got to go to London, be on TV and see the prime minister – things she wouldn’t have dreamed were possible! Last night Dave’s kids start in a real-life Nativity-esque explosion of pure celebration and joy as they became the first act to receive a Golden Buzzer on ITVs Britain’s Got Talent. Their rendition of Don’t Stop Me Now, was full of colour and fun – and completely mirrored the SWAG heart-led culture I’d experienced when visiting Flakefleet School. The kids smashed it and had the audience and judges on their feet and crying by the end! The stand out moment for me during the first few bars when Dave, who’d somehow had changed out of the tux he was wearing during the introduction and slipped into a shiny Union Jack lycra onsise, nods to a child and braces himself as the kid takes a huge run towards him. The next few seconds show a headteacher, who holds a vision of success for every one of his students, catch a leaping child, who is embolden by that belief, and raise them high into the air! That moment embodies what eductaion is about – the power of another believing in you. Invest some time in identifying your own SWAG. Whether you achieve it or not, it’s the mindset shift that opens the door to greater opportunity, grown and personal agency. Go for it!